Friday, March 18 through Tuesday, April 12, 2011—Las Vegas, Nevada: Funny thing about plans…..they tend to be nothing more than a point in time that you can use to deviate from. 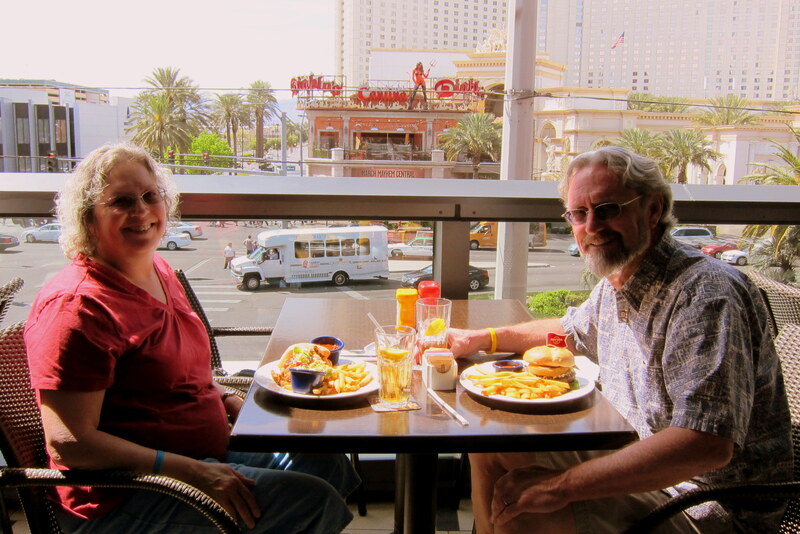 We “planned” on staying in Las Vegas for about a week…..however we ended up staying almost a month! 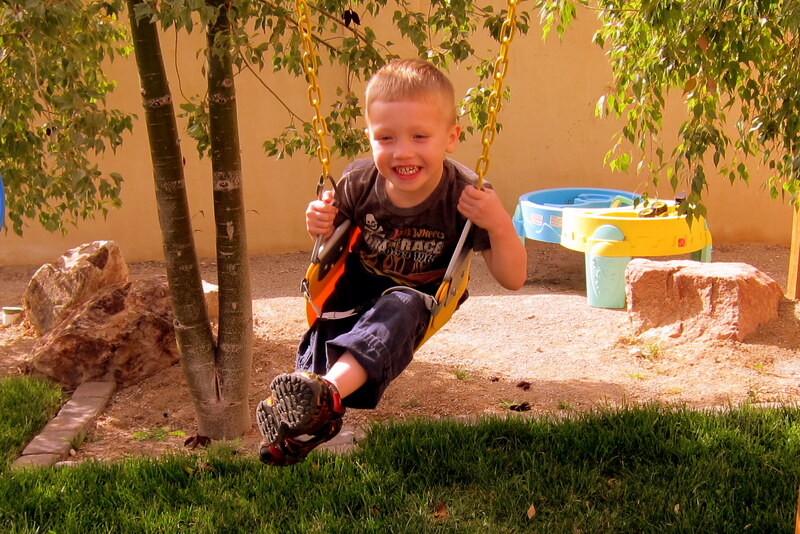 Grandkids and great weather have that kind of effect on us. Yep…..they are as active and full of life as they look. In addition, they are creative. 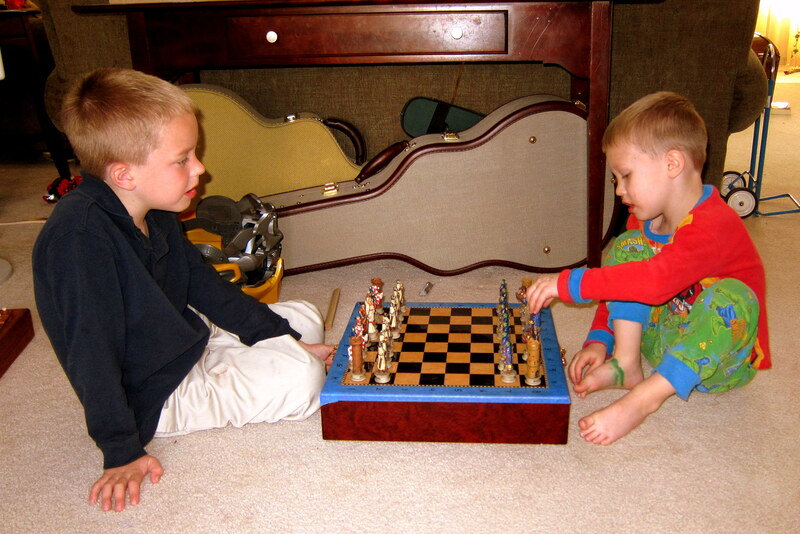 Yep they are actually playing chess……a game they taught me, then proceeded to clean my clock on every game! But enough about them. Jack and Tucker are truly amazing kids. Take it from us…..the future is very bright with young citizens like these as well as our three other grandkids back in Maine. 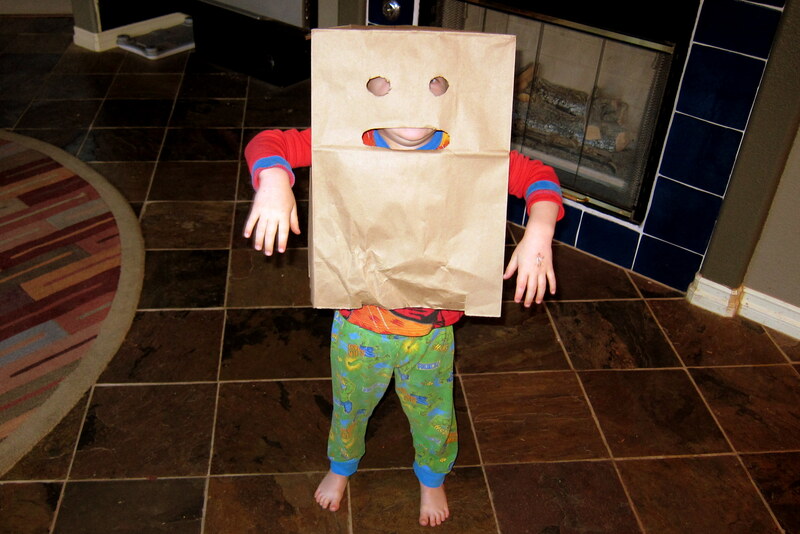 The above is how kids in Maine dress for school every day. 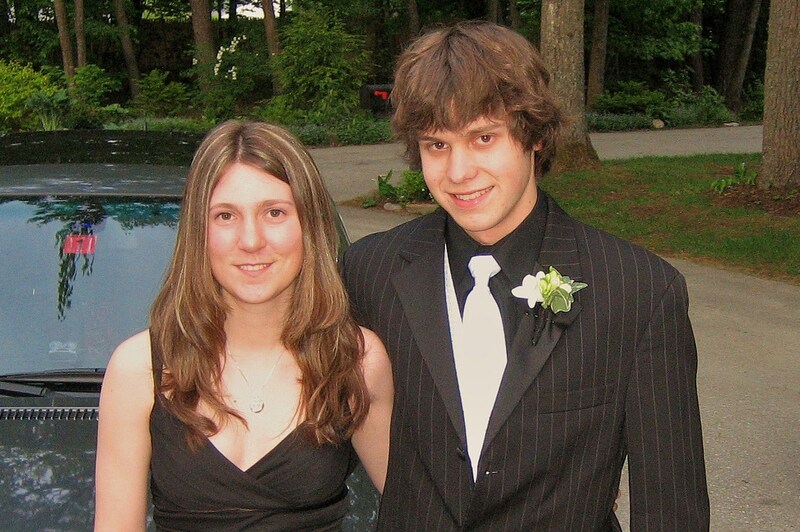 OK, actually this is the obligatory Prom Night shot every kid reluctantly poses for. So…..in addition to hanging with Jack and Tucker, what else did we do in Las Vegas? 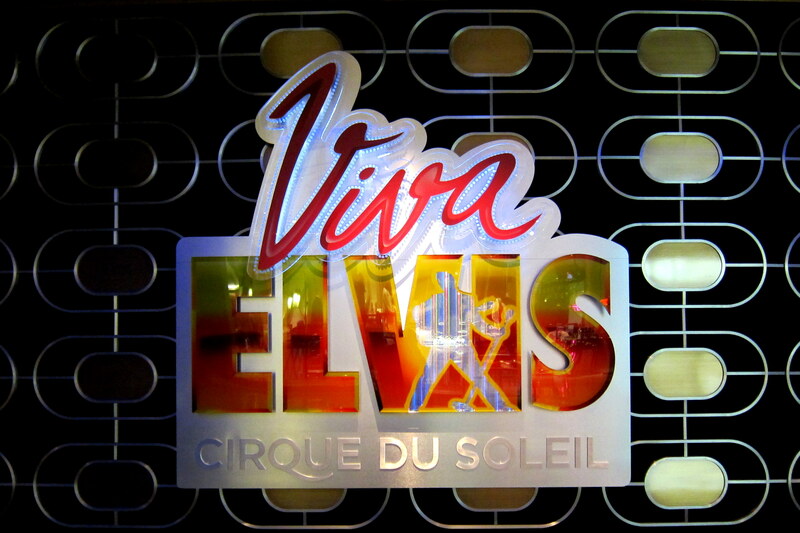 Well…..let’s see…..
Kevin scored us tickets to the new Cirque du Soleil show “Viva Elvis” which is being performed at the brand new Aria Resort and Casino at City Center. The traditional high octane Cirque performance and timeless Elvis music combined to make a truly entertaining and unforgettable experience. And as an added benefit, Kevin who is the Head of the Audio Department was working the show and we were seated near the control booth which added an extra dimension to the show. The incredible acrobatics that is the Cirque trademark was in high gear and the re-mixed Elvis tunes were unbelievable. This latest Cirque homage to Rock and Roll Royalty was as good as the Beatles show “Love” we enjoyed last year. We can’t wait to see what Cirque Du Soleil comes up with next…..maybe it’s time to honor The Rolling Stones? We also enjoyed walking “The Strip” during the daywhere we stopped in many of the casinos and enjoyed watching the folks from all over the world deposit their hard earned funds in the casinos coffers. For lunch we stopped by the Vegas Hard Rock Café. After lunch, we bumped into this fellow playing the penny slots down on Fremont Street. I guess he figured that Vegas was pretty much the same as that six sided funny farm he used to work in. It’s all a big gamble. Actually “Rummy” was in town to peddle his book “Known and Unknown”. We even got to enjoy the city of New York…..without having to deal with the Lebanese cab drivers. 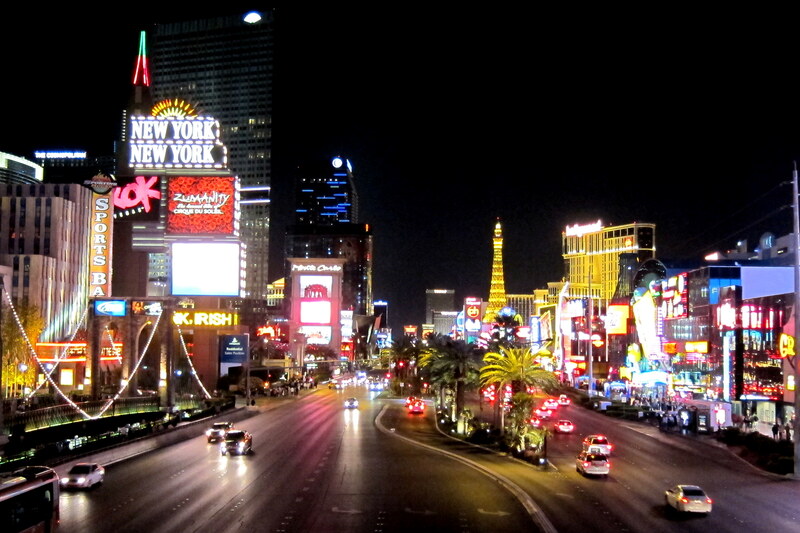 In addition, we enjoyed “The Strip” at night. When things got really crazy and the “people watching” reached a whole other level of entertainment. Following is just a random sampling of the sights we encountered during our time on The Strip. Well…..what can I say…..It’s Vegas Baby! The highlight of our Las Vegas stay however was getting some bonding time with Jack and Tucker. Being as we live 2,800 miles from one another we only get to see them a few times a year and at their age they grow up fast. So when Suzie and Kevin asked if we would mind watching the kiddles so they could enjoy a getaway we enthusiastically said yes. 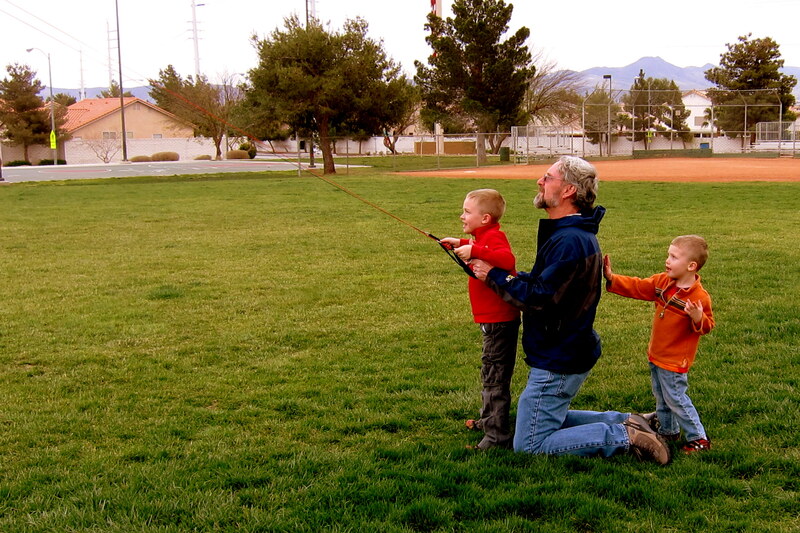 We actually had Jack and Tucker for two weekends, one of which we went “camping” for three days to the RV Park on Nellis Air Force base. Being that the RV Park is on an active military installation we were surrounded by the sights and sounds of military life. Every morning at 0630 we could here reveille being played. At sunset we honored evening colors as the National Ensign was lowered. 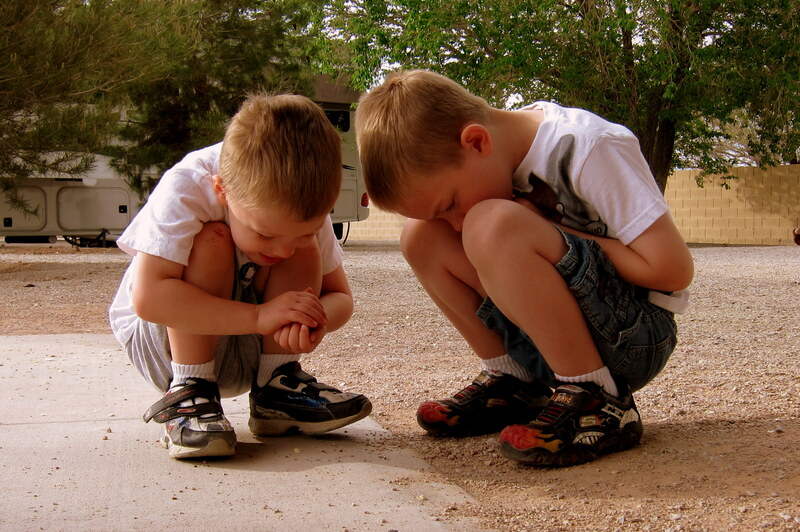 Jack and Tucker asked why they had to stop playing, place their hand over their hearts and face the sound of the bugler playing the National Anthem. It provided an excellent opportunity to explain a little about honoring our flag. 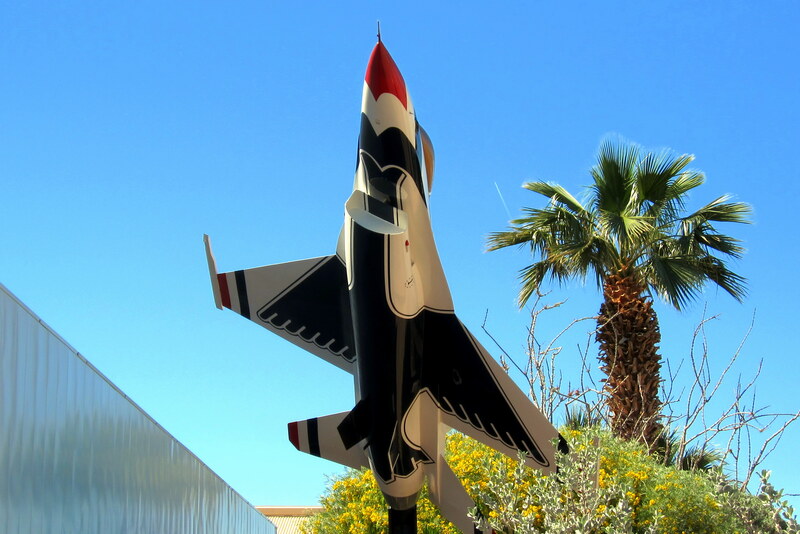 Nellis is the home of the USAF flight demonstration team, The Thunderbirds. 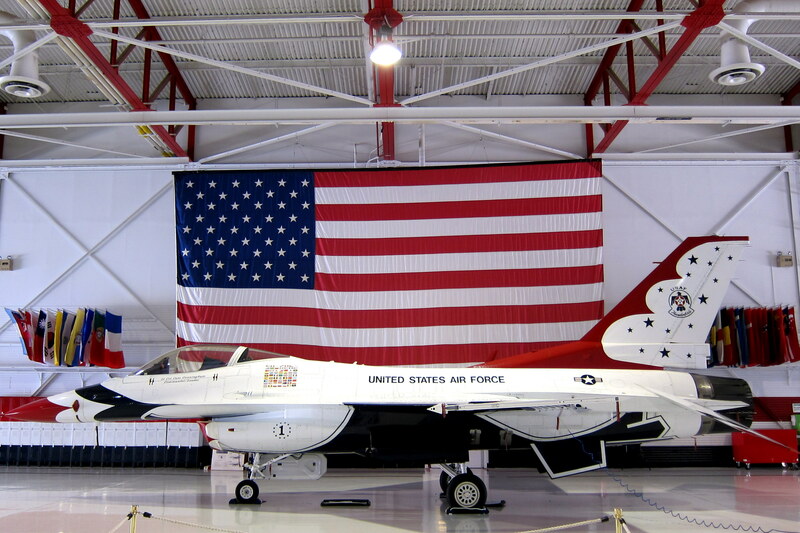 On certain days they will allow visitors to tour the hanger. The team was in Puerto Rico doing a show; however there were still plenty of activities to keep Jack and Tucker entertained. We were assigned a very nice Staff Sargent from Indiana who had recently joined the team. 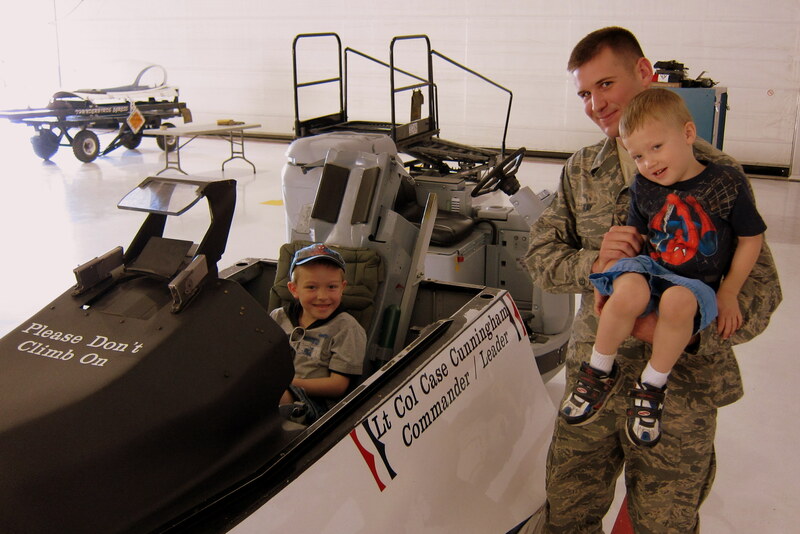 The kiddles took to Brian right away and he seemed to enjoy showing them around the hanger and answering their endless questions. He even sat them in a cockpit trainer and explained every dial and control on the instrument panel. 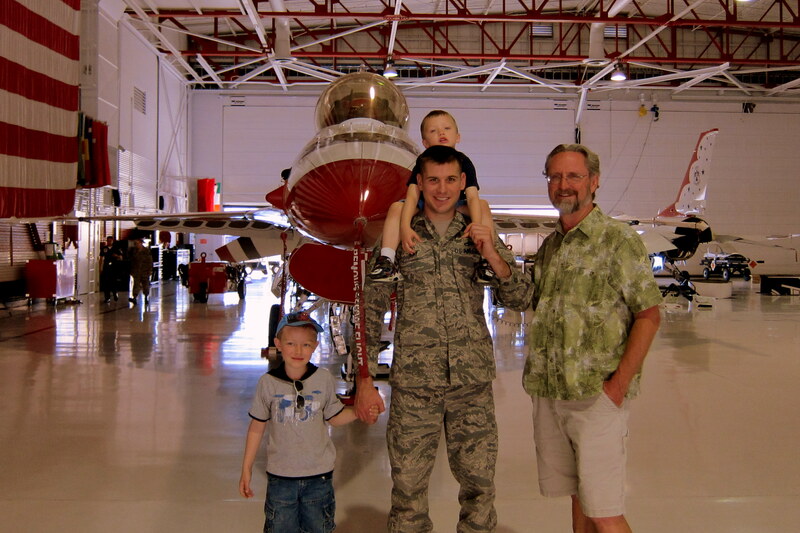 They had a great time and spent a considerable amount of the next few days talking about their new friend Brian and about how they were going to fly jets when they grew up. That evening they wrote a nice thank you letter to him and included some drawings of airplanes they had created. 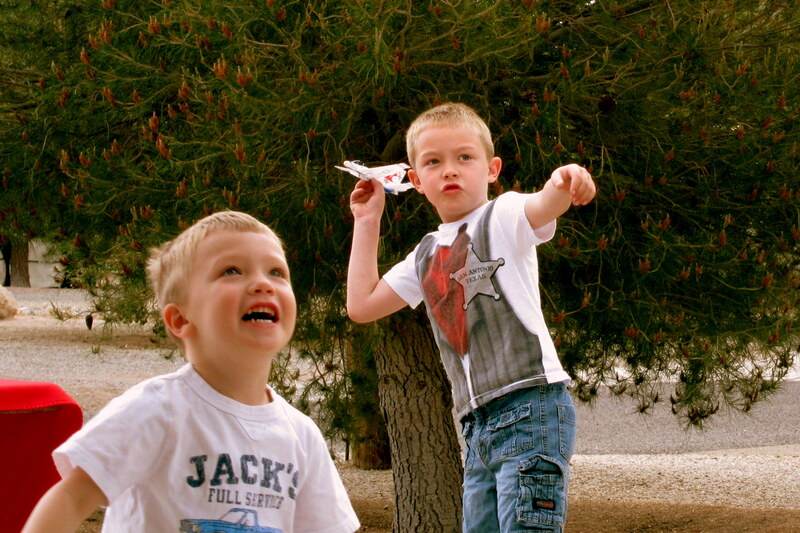 Here Jack and Tucker are practicing with Thunderbird model gliders. 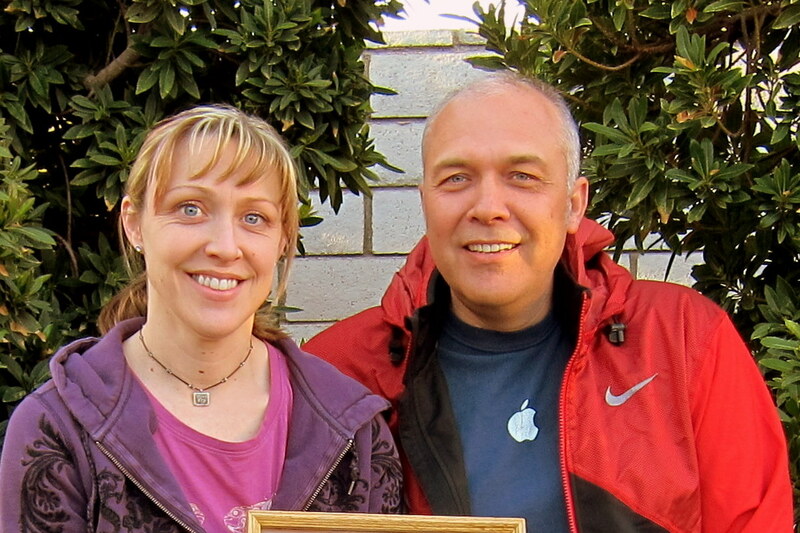 Let’s see…..what else did the kiddles do? 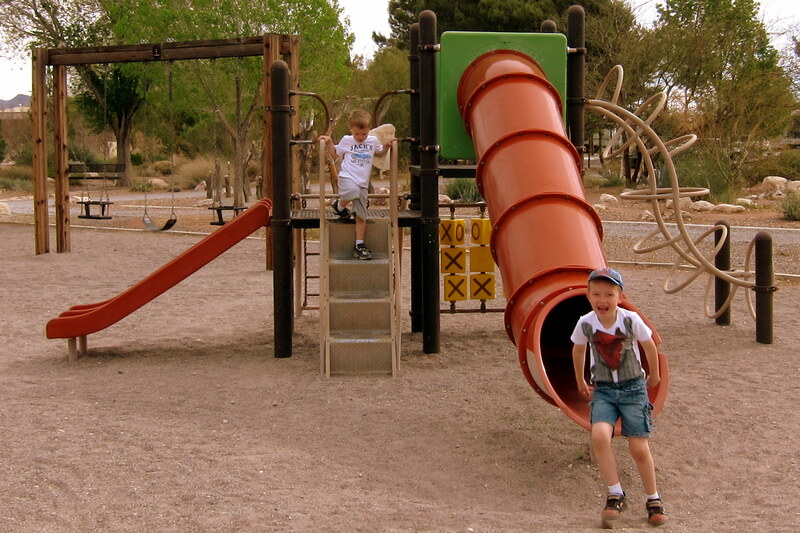 Well they enjoyed hanging out at the RV Park playground. 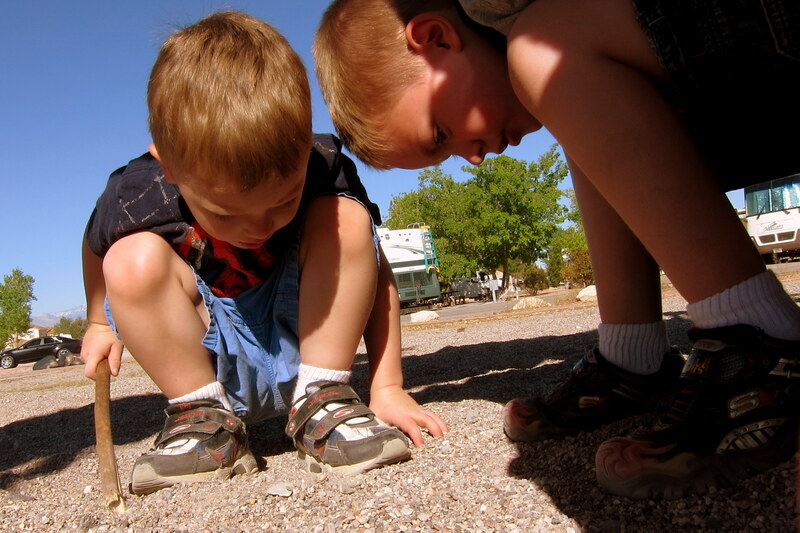 They enjoyed looking at bugs crawling on the ground. 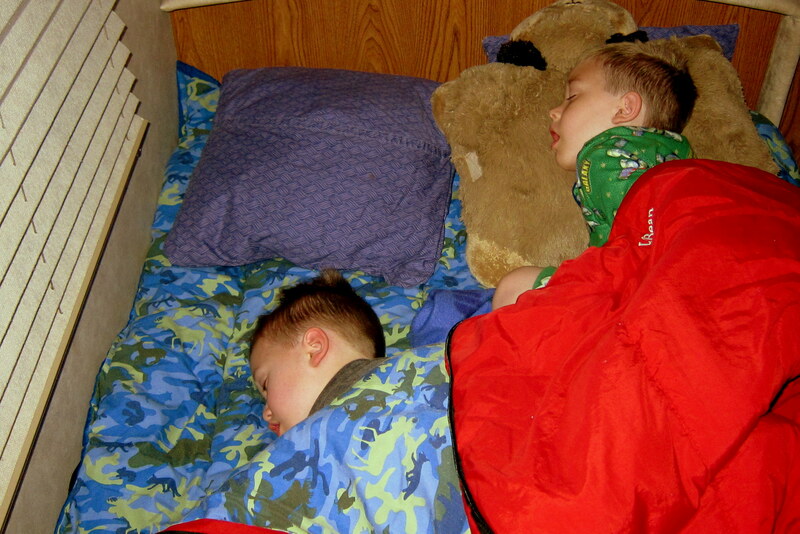 They enjoyed sleeping in the camper. They enjoyed flying one of Poppy’s kites. They enjoyed watching more bugs. They enjoyed watching the endless parade of jets circling the RV Park. 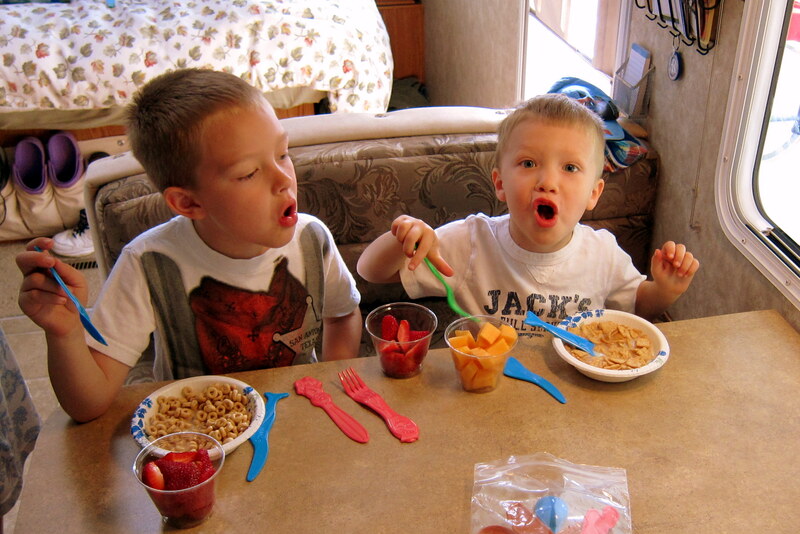 They enjoyed eating in the camper. We all went to see the new movie Rango. This is another in a series of animated movies, a la Shrek and Toy Story that features comedy on both an adult level as well as a child’s…..for some reason I appreciated both?!?! 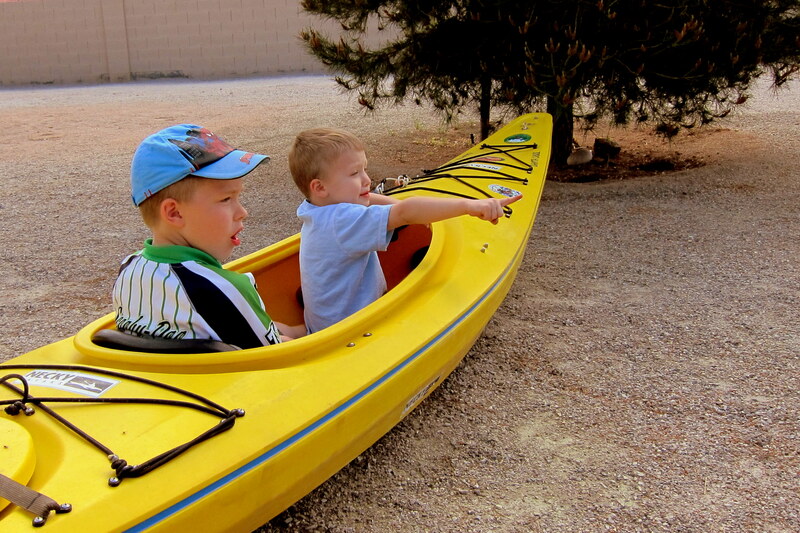 They also enjoyed playing Titanic in Poppy’s kayak. And they enjoyed seeing all the historic aircraft at Freedom Park. 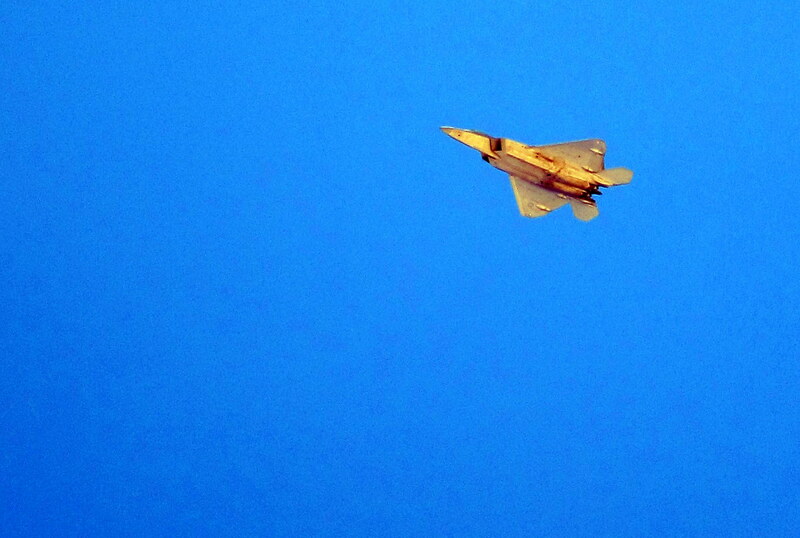 What…..that last one is an F-117 Stealth Fighter, I must be getting really old. 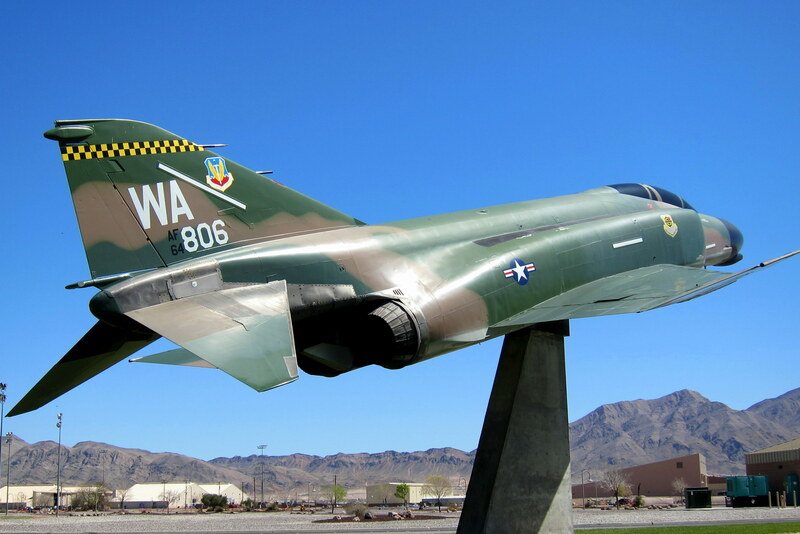 Hard to believe this aircraft is now a museum piece!?!? 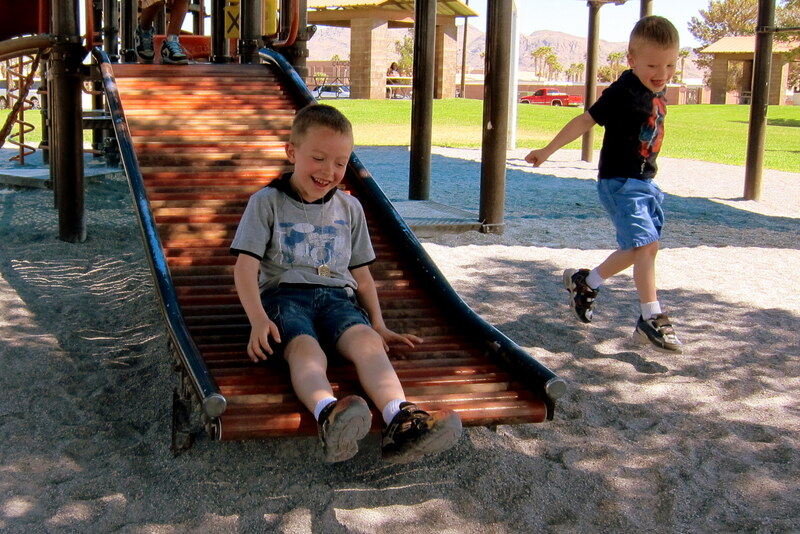 At Freedom Park there is a bigger playground with a unique roller slide. All and all I think they had a great time and we plumb wore them out. So much so that we got tired just watching them…..it took us all the next day to recover. The campout with Guma and Poppy was a qualified success! We look forward to doing it again next year…..and we may actually go somewhere. Stay tuned for more of Bill and Kit’s visit to sin city. 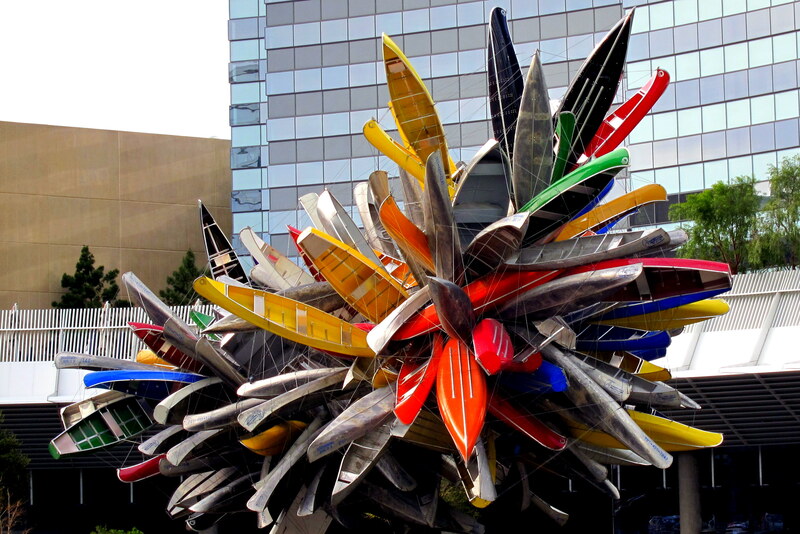 Kit’s Seven Cents Worth: Obviously, we had a great time with Jack & Tucker. 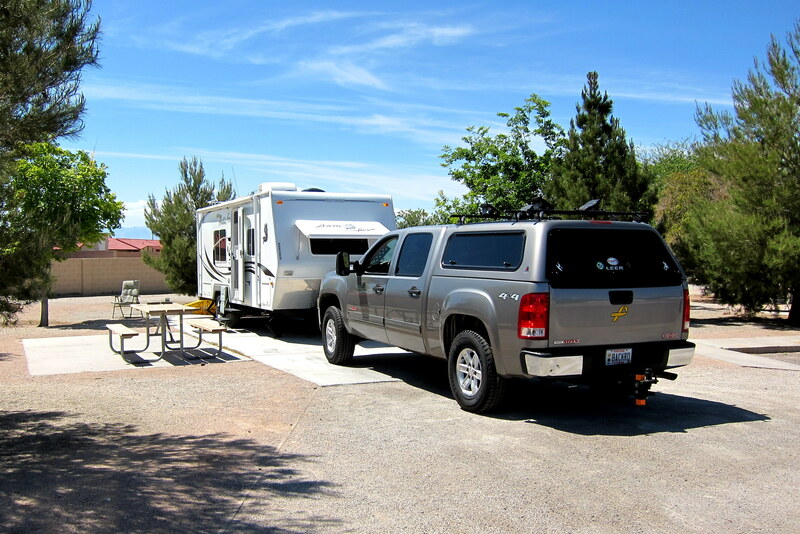 It’s nice to have them with us at the campground – they made friends with many of the local campers. It’s not often that we have young children in the campgrounds so was quite a treat for everyone. We had quite a wide range of weather during our month in Vegas; everything from 50 degrees up to 90 degrees, rain and very strong winds. 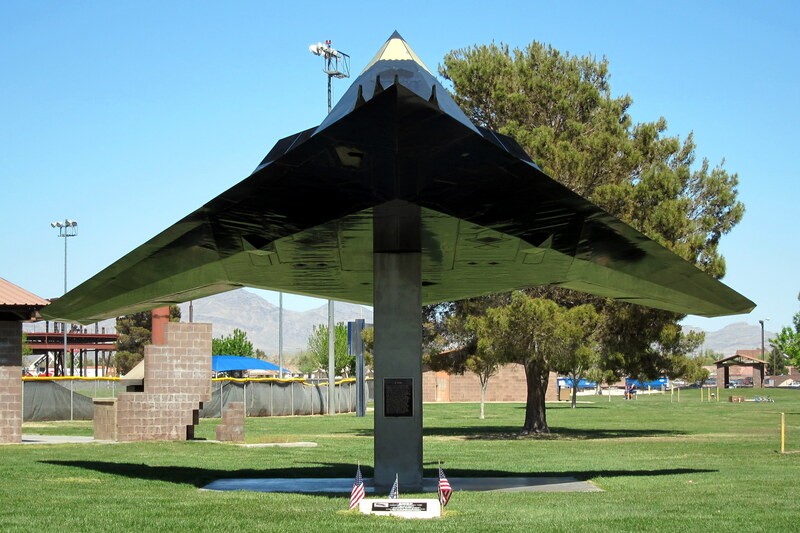 We thoroughly enjoyed staying at the Desert Eagle RV Park at Nellis AFB. Even though it’s about 20 miles north of where Suzie & Kevin live, it’s quick and easy to get to their house. Also had access to the BX and Commissary. That must have been a unique combination of sites and sounds. Military backdrop in the morning and evening and Vegas during the day. What a contrast! Enjoyed seeing pictures of the family. It was…..and another contrast was playing with our grand kids in their backyard, looking over the fence and seeing all the lights of the strip a few miles away. It’s a unique place to raise a family, the kids go to day care at the MGM Grand as that is one of Kevin’s benefits. Lovely photos — lovely family! 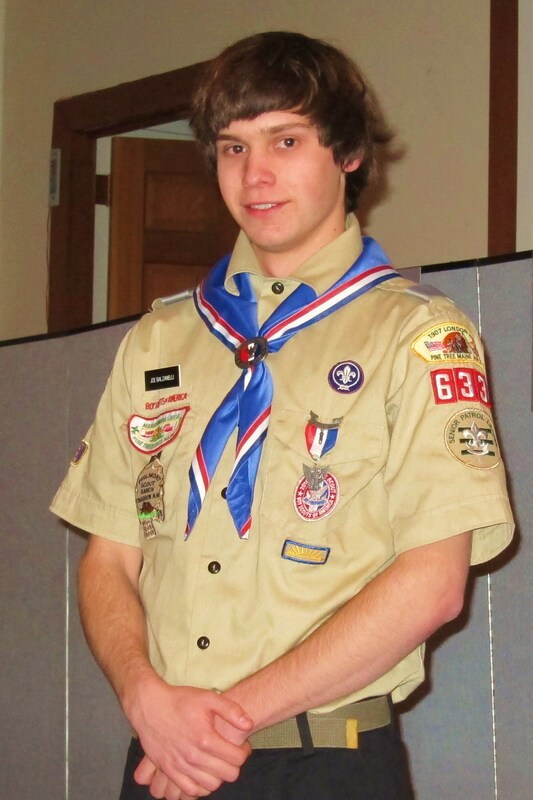 Congratulations to your grandson Joe on making Eagle Scout! A great accomplishment! Our son Jim made Eagle Scout at Lexington Park, Md, when we were at the last duty station, NAS Patuxent River, MD. A lot of hard work, and a worthwhile goal to achieve. Glad you had a good time in Vegas…it IS a party town! We just drive through coming and going to BLM Imperial Dam LTVA! Thanks….we are indeed proud of him. 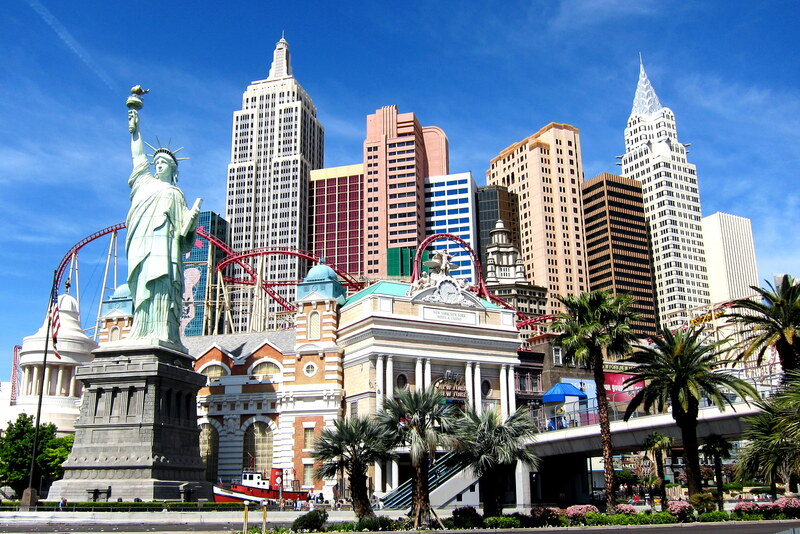 It’s funny, Vegas is indeed a party town but just a few miles off the strip it looks like Anytown, USA. In fact within about a 25 mile radious there is a lot to do that doesn’t include Elvis Tribute Artist’s. 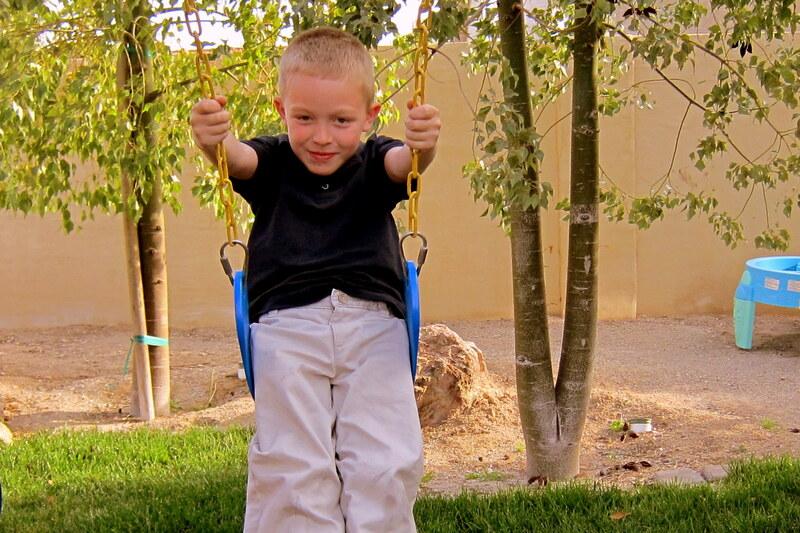 Glad you got to spend so much time in Vegas with the boys….they are such all-around kids! And chess! 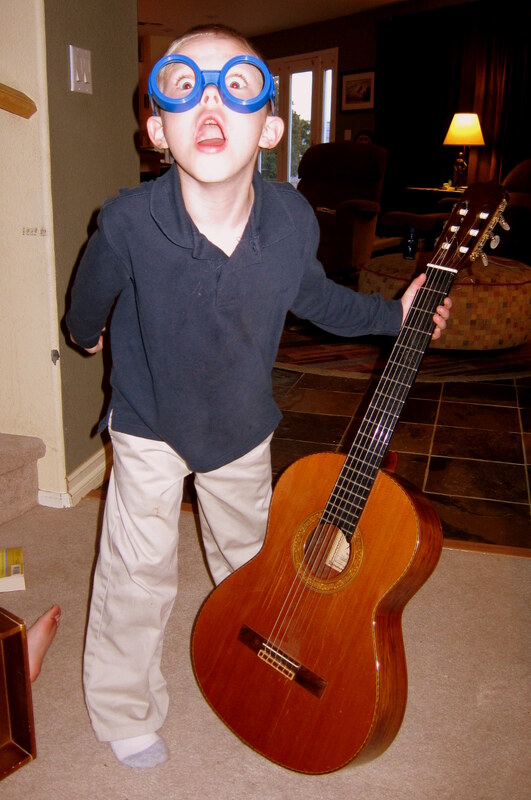 Wow…and Tucker not quite 4 yet! @ Gerry and Denise…never heard from you after you got to Venice, and now we are on our way to Maine! See all of you in Maine this summer. Looking forward to it…..have a safe trip. What a great looking family! They all look very happy to be hangin’ out with Poppy and Mrs. Poppy!! Hey, was that really Rumsfeld (sp?) 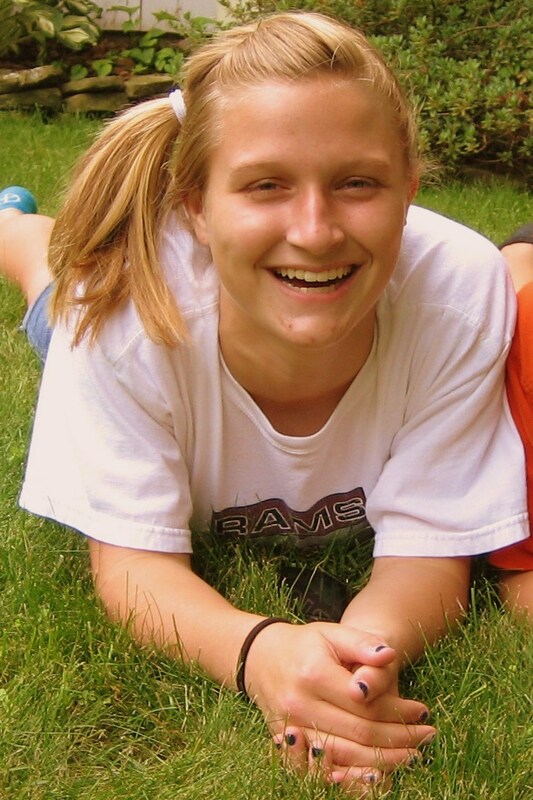 or a look-alike? 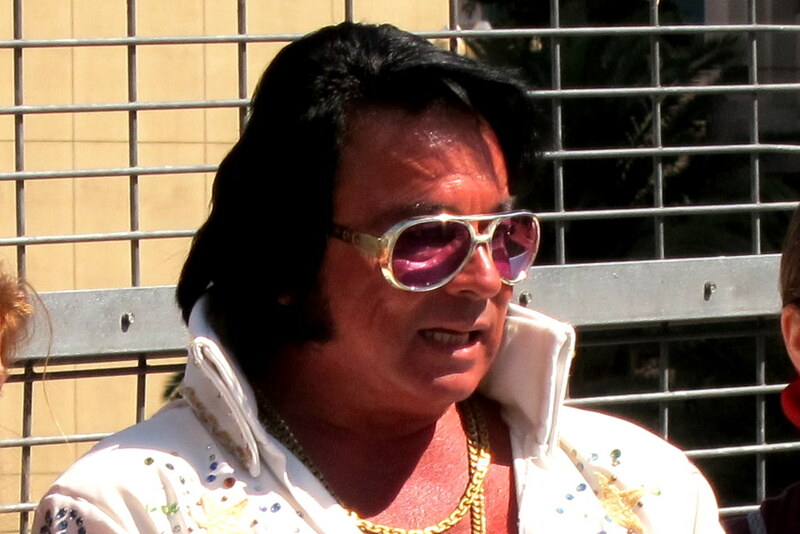 I’ve seen Elvis looking better…not much though! 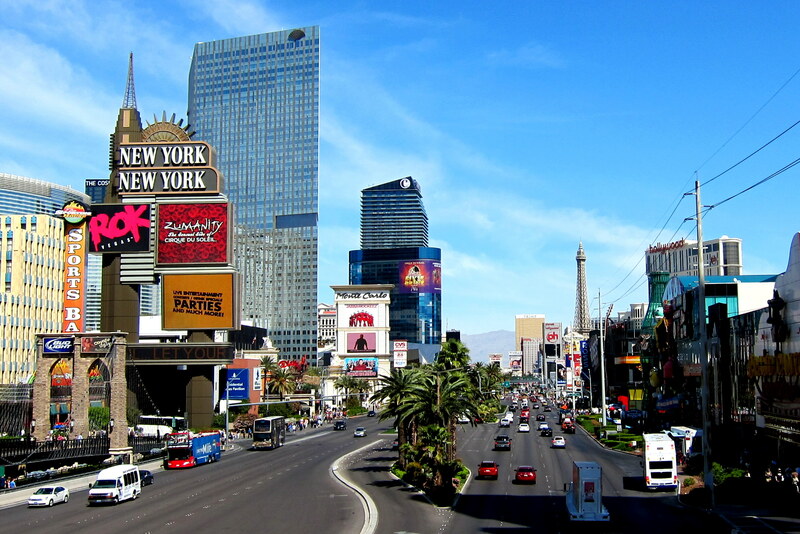 I loved the pictures of Vegas….sure has changed since I was there in the 80’s!! Thanks for the comment and kind words. 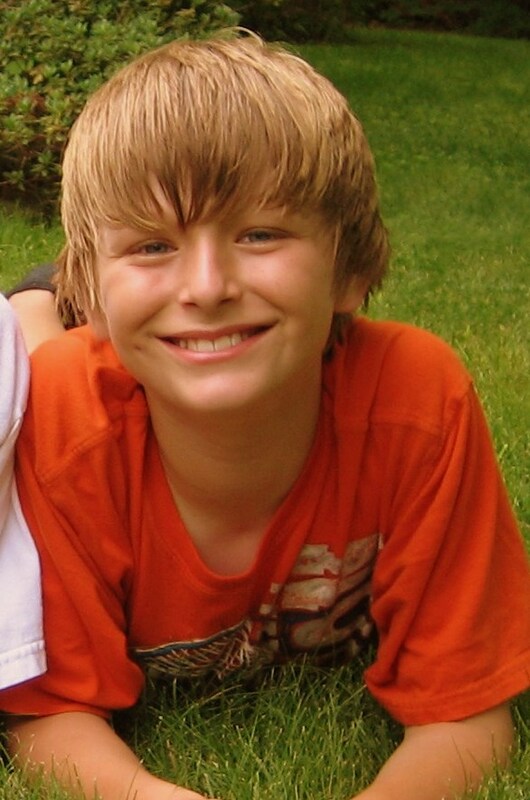 Yep, somehow we ended up with great looking grandkids! 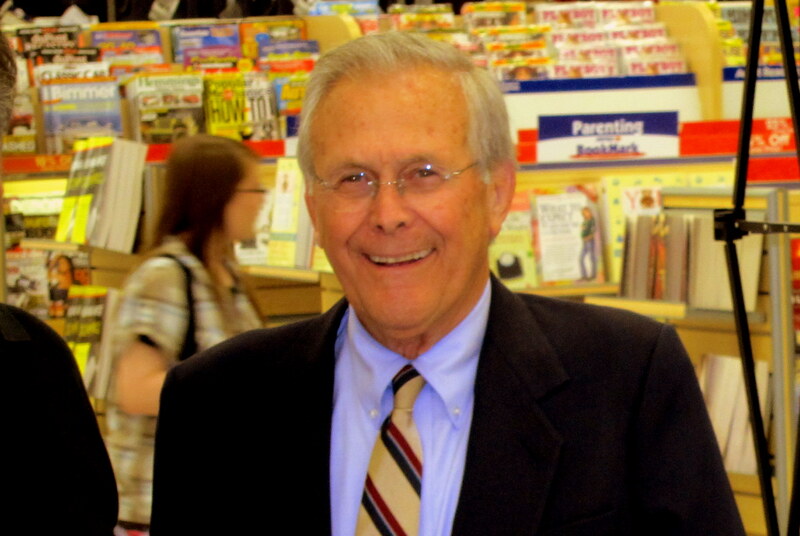 That was Rumsfeld…..he was in town on a book tour. We hear that Charlie and Terri will be in Maine this September; hope we can all get together!